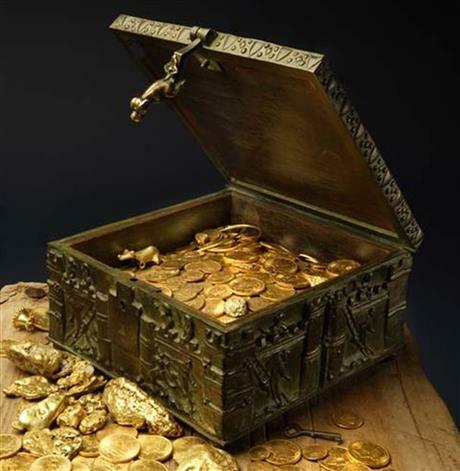 When Forrest Fenn, a retired antiquities dealer, hid $2m worth of gold, jewels and artifacts in the Rockies and teased the location of the treasure with cryptic clues in his self-published memoir The Thrill of the Chase, he'd hoped to inspire readers "to get the kids off the couch and away from the game machine." Now he's paying for search-and-rescue helicopters and planes to fly over the northern Rio Grande, looking for Randy Bilyeu, a 54-year-old grandfather who's been a full-time "Fenner" for two years, having moved to Colorado to pursue Fenn's treasure. Bilyeu has been missing in the freezing, remote terrain for two weeks. No matter what Bilyeu's fate, Fenn has vowed to keep the search going: "There have been too many people looking. It would not be fair to them if we shut the thing down." books / gold / what's the worst that can happen?